Living Lots NYC is a clearinghouse of information that New Yorkers can use to find, unlock and protect our shared resources. 596 Acres started with vacant lots and remains committed to helping fill these holes. Urban Reviewer catalogs over 150 urban renewal plans that NYC adopted to get federal funding for acquiring land, relocating the people living there, demolishing the structures and making way for new public and private development. NYCommons helps New Yorkers impact decisions about public land and buildings in their neighborhoods. It is a collaboration between Common Cause/NY, the Community Development Project at the Urban Justice Center, and 596 Acres. BROOKLYN, N.Y. — Amidst the pouring rain, a crowd gathered at Green Valley Farm in the Brownsville neighborhood of Brooklyn, late on a Friday afternoon, March 31. 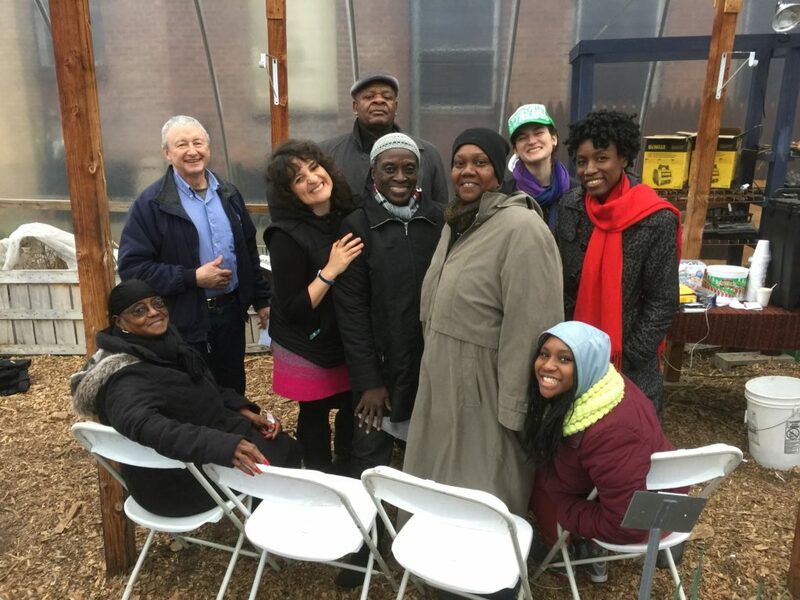 Huddled in the greenhouse, they celebrated the promised expansion of the community garden, now that the legal battle to keep the land in community hands is behind them. 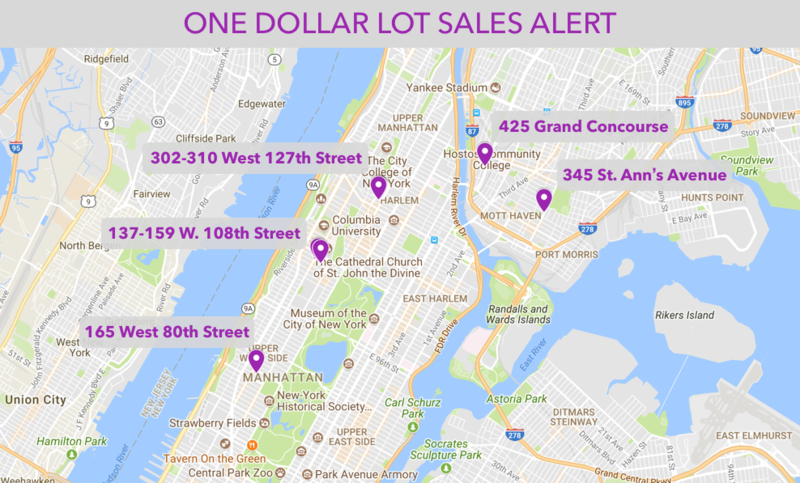 Back in January, Mayor de Blasio cancelled plans to sell the city land to a private housing developer for just one dollar. The Mayor’s announcement came after a protracted multiyear fight about the future of the Green Valley Community Farm, including eviction threats and legal action. 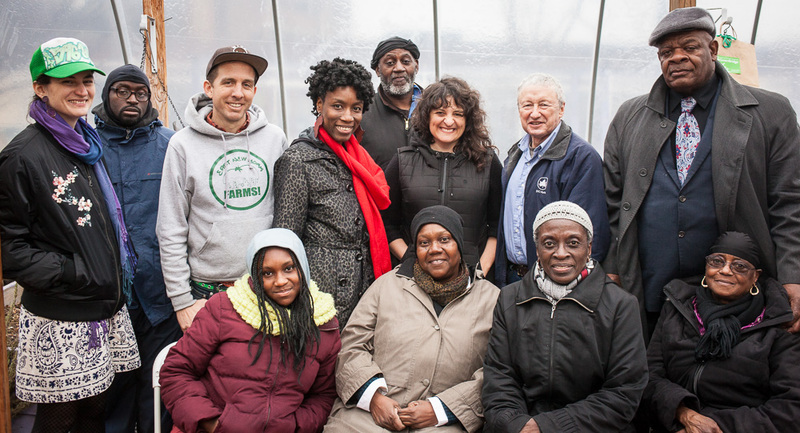 Community farms are among key community-stewarded spaces that give vitality to New York City. A recent report by the Citizens Committee for Children of New York finds that Brownsville faces considerable economic disparities and poor access to critical resources. As a result, 40 percent of Brownsville residents live in poverty and 45 percent rely on food stamps — more than double the rate for the city at large. The community garden gives residents greater access to fresh, locally sourced food, while maintaining community control over the land to ensure that it is used to meet the needs of residents. Spring will usher in new growth for the community garden as a planned extension breaks ground. The farm will expand its current greenhouse to accommodate an aquaponics system. Aquaponics is the fusion of aquaculture (raising fish) and hydroponics (growing plants in water, without soil). 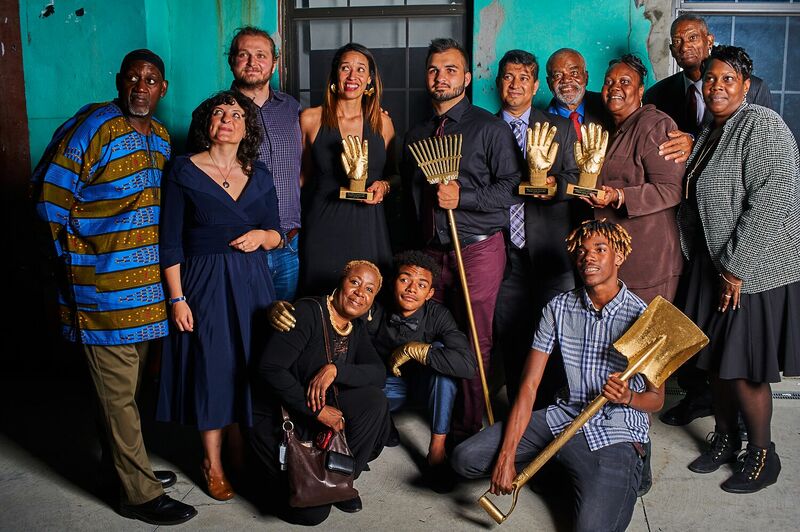 “The new aquaponics system will give Brownsville residents more access to fresh, locally sourced food and the opportunity to build even greater food security and community autonomy,” said Mara Kravitz, director of partnerships for 596 Acres. The farm also hosts a green market in partnership with the Department of Health. The market sells fresh produce at affordable prices and accepts Supplemental Nutrition Assistance Program(SNAP) vouchers (commonly known as food stamps). For the dedicated community members who braved cold March rains to celebrate the victory, the farm clearly is an important cornerstone in Brownsville. Neighbors spanning at least three generations mingled while enjoying homemade soup, carrot cake and cookies. The scene felt more like a gathering of friends in someone’s living room than a groundbreaking. More photos from the celebration are available upon request. Renderings of the aquaponics system also are available. 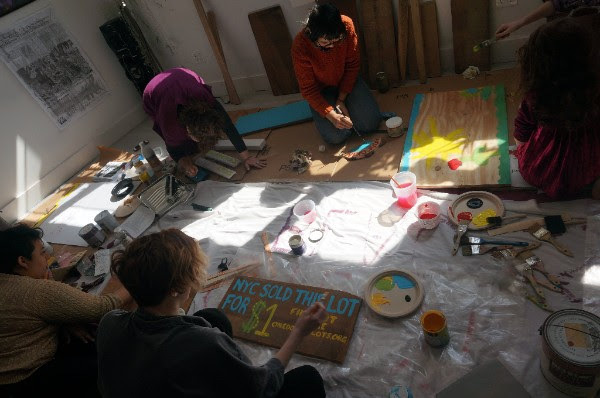 Please contact Amy Lebowitz (amy@caminoor.com) or Loretta Kane (Loretta@caminopr.com) for photos and/or drawings. Photo by Daniel Goodine. Cover photo by Murray Cox, Documentary Photographer: www.murraycox.com. Join us for Earth Day Weekend! Sign up to receive the latest news and updates from 596 Acres! Copyright 2016, 596 Acres, Inc. This work is licensed under a Creative Commons Attribution-NonCommercial-ShareAlike 4.0 International License. "596 Acres" and "Living Lots" are registered trademarks of the Fund for the City of New York.